I sense a colorful rickshaw coming at me from behind as a weaving motorbike barrels straight toward me, and a dusty, white car eases past all of us while laying on the horn as if there was a chance in hell that we could get out of the way. I calmly step to the left, then forward and a bit to my right, confident that I can straddle the smelly water in the gutter without falling in. It’s my second full day in Thamel, and I’m becoming comfortable with the chaos. I dance with the crowd, anticipating their moves as they anticipate mine. I easily sidestep spit from the shopkeepers hustling their wares or the equally dangerous splash from their occasional halfhearted attempts to wash the spit away. I’ve learned to keep a sixth sense focused on the uneven ground in front of me, while my other senses are fully engaged in keeping me alive. 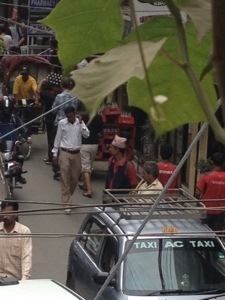 The similarities between walking in Thamel and driving on a Los Angeles freeway are striking. So are the differences. Overwhelmed at first, I soon find myself entering a kind of meditative state in which I move by instinct and trust in those around me. The crowd becomes one. We all move as a single organism – and it works. Suddenly, the smell of raw meat from a small, open window low to the ground stops me in my tracks. I look around. Meat, fruit, vegetables, used cooking pots, clothes, rice, and live chickens splashing in the mud puddles at my feet have replaced the knock-off trekking gear, singing bowls, and Buddha statuettes of the tourist district. I am fabulously, deliciously lost. I’ve stumbled on the local market in the part of town where there are homes instead of guesthouses, where the shopkeepers, hotel workers, and their families live, love, and play. I spend a couple of hours “lost” there, taking it all in. I don’t take out my camera, not even once. It feels too invasive here. Instead, I just talk to people. It’s a wonderful day. 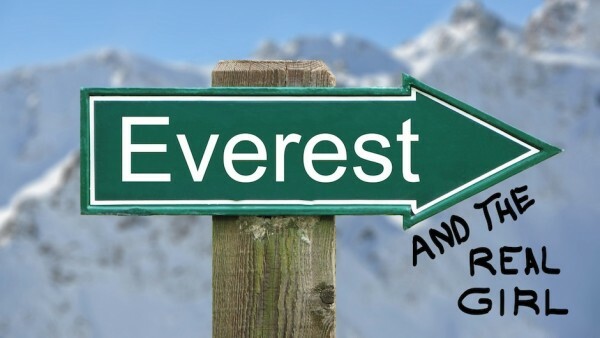 Tomorrow I leave for Bhutan. I expect a very different experience from the chaos of Kathmandu, but I know where expectations lead. I’m ready to see how the next 9 days unfold, and to experience whatever chaotic serendipity comes my way. I am comfortable being uncomfortable. It’s just what I do.